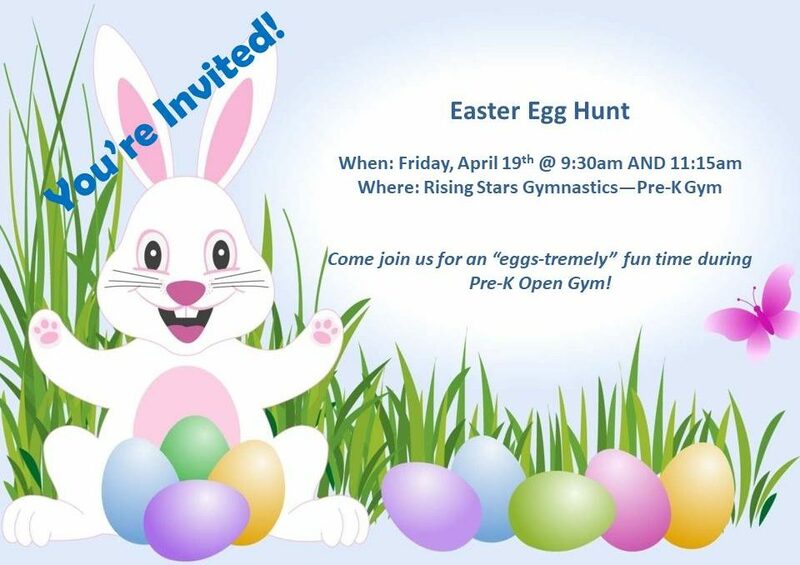 Hop on down to Rising Stars this Friday, April 19th, for an extra “egg-citing” Pre-School Open Gym! The Easter Bunny is coming a bit early and will hide some special surprises for children who attend our 9:30am or 11:15am Pre-School Open Gyms. Cost is $5 for members, $10 for non-members. Hope you can join us for this special Easter-themed Pre-School Open Gym! Come “eggs-ercise” and have fun!